Melencolia I, one of the most emblematic works by the German artist on display in Barcelona JOSEP LOSADA. Albrecht Dürer (1471-1528) was an extraordinary painter, yet it is his engravings that provided him with everything he aspired to as an artist: money, renown and creative freedom. Dürer had personal control over the commercial side of his art, allowing him to “generate new tastes,” which turned him into a hugely influential artist in his own time and in those that came after, according to art historian, Helena Alonso. Such was the admiration that his engravings engendered that Dürer, ambitious as he was, signed his work with a drawing featuring just his initials. For all this, Dürer is now considered the first modern artist. Seventy of his engravings from the private collection of Italian Elisa Moretti are now on display in three venues in Barcelona’s Gothic quarter: the Reial Cercle Artístic, where the initiative was born, the Cathedral and the Museu Diocesà. 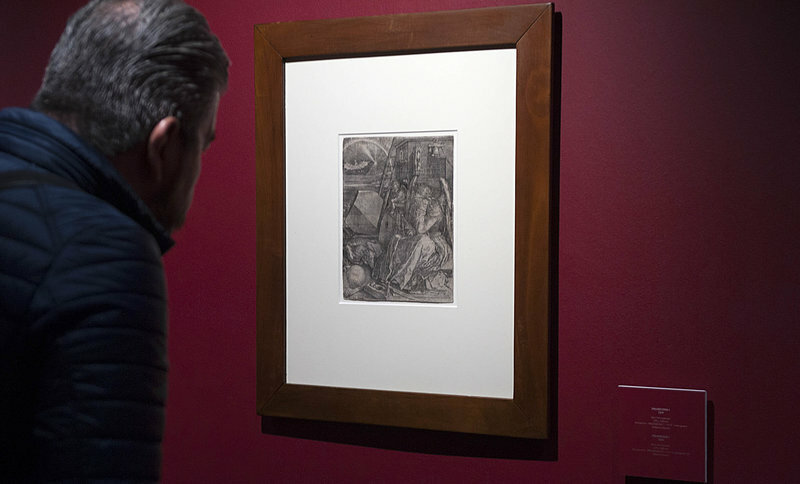 The exhibition, Dürer, mestre del Renaixement, which runs until May 26 and is curated by Alonso, has the approval of the Dürer house-museum in Nuremberg and the Fugger and Welser Erlebnismuseum in Augsburg, both of which have supplied documentary material to help understand the artist’s historical context. Part of this history is, an albeit slender, link between Barcelona and Dürer that the exhibition has used to promote the exhibition (and to justify the 10-euro admission).